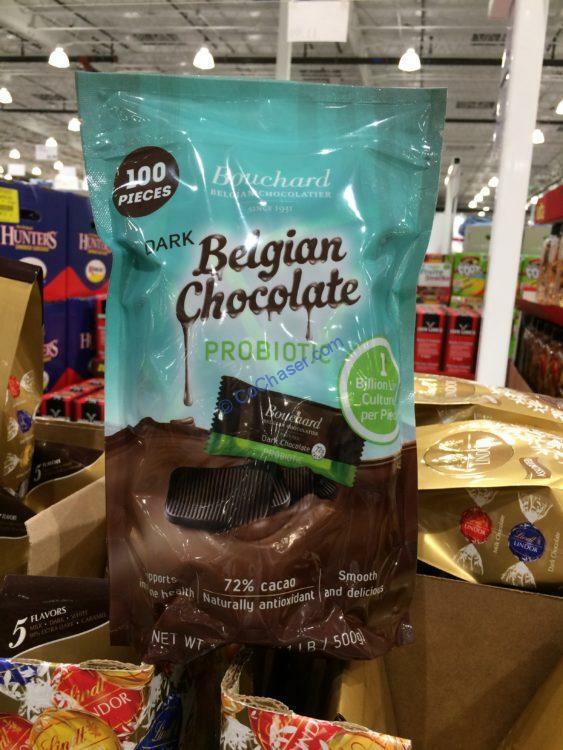 Enjoy the benefits of probiotics with this delicious taste of rich, dark chocolate straight from Belgium. These probiotic chocolate helps maintain immune health, cell health, and improves the intestinal environment. All probiotic products can claim amazing health benefits, but few can claim they are as delicious as 72% dark chocolates. So try placing the chocolates with the ridge side down on your tongue. Your taste buds will thank you. Per serving size 6 pieces (30g), contains 170 calories. For each serving, you get 12g total fat, 7g from Saturated fat, 3g protein, 4g fiber and 8g sugars.